So I've been checking back here every so often and I am super excited to see my followers grow like crazy. So to thank all of you who have come by to check things out, I've a new project and it's FREE!!! I love Freebies! 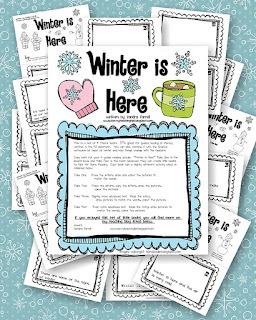 Click Here to download it from my Teachers Pay Teachers store. It's completely modelled after my very popular Language Arts Mini Book Lesson on Falling Leaves. Click Here if you'd like to check that one out as well. It's FREE too! As you might be able to see, I got a fabulous new Blog Design from Lyndsay over at Happy Potamus Designs. Itsn't it adorable. She's currently working on my Crafting Blog makeover as well. So thanks for all your patience. Having two active blogs is proving to be a big job, but I'm really hoping to get a lot up for you on this blog in the next few weeks. Thanks for hanging in there with me through all the craziness at home. Here's a photo of what my yard has looked like for the past month. Wow! Thanks for the fabulous freebie! I am your newest follower! You have some great ideas! Thank you for the mini books. My class LOVED your fall leaves set. I just noticed you're from Vancouver! We live in Victoria. Take care! Thanks for the freebie. Love the mini-book. I'm your newest follower. 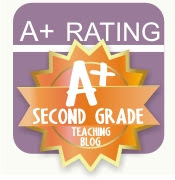 Just found your blog through Grade ONEderful! Love seeing more Canadian Blogs!